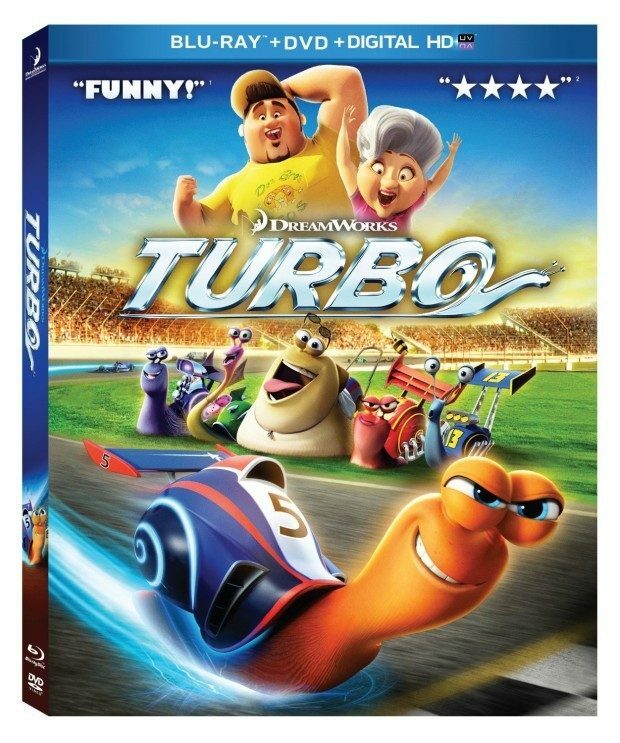 Turbo Blu-ray / DVD Combo Pack Only $7 + FREE Shipping with Prime! You are here: Home / Great Deals / Amazon Deals / Turbo Blu-ray / DVD Combo Pack Only $7 + FREE Shipping with Prime! Head over to Amazon and get Turbo Blu-ray / DVD Combo Pack for just $7 (reg. $38.99). Shipping will be FREE with Amazon Prime or an order of $35 or more. From the creators of Madagascar and Kung Fu Panda comes a hilarious “fun-fueled family adventure” (Bill Bregoli, CBS Radio News) that proves no dream is too big…and no dreamer too small. When an ordinary snail named Turbo acquires the power of super-speed, his life kicks into overdrive! With the help of a struggling taco stand owner and a streetwise snail crew, Turbo will attempt to race in the Indy 500 and make all their dreams come true.